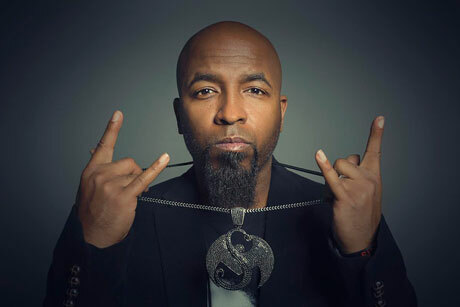 Following up a recent blitz around the U.S. in support of his recent Strangeulation LP, Kansas City motormouth Tech N9ne has now announced he'll be the northern side of the border this fall for an upcoming Canadian tour. The fast-rappin' figure's "Strangeulation Canadian Tour 2014" is a cross-country trek that will bring him from BC out to the Maritimes over the course of a few weeks. The trip begins out in Chilliwack, BC, on September 10 before working westwards to Vancouver Island, but will then slingshot back east and wrap with a two-night stand in St. John's. In addition to the marquee MC, the "Strangeulation Canadian Tour 2014" will also find Tech N9ne sharing the stage with collaborator and Strange Music labelmate Krizz Kaliko, as well as Whistler, BC-based hip-hop group Animal Nation and fellow BC rhymer Immaculate. You'll find the tourdetails down below. Strangeulation was released this past May via Tech N9ne's own Strange Music, and featured the veteran rapper teaming up with the likes of Krizz Kaliko, Murs, Jay Rock, Ryan Bradley, Stevie Stone and Big Scoob.